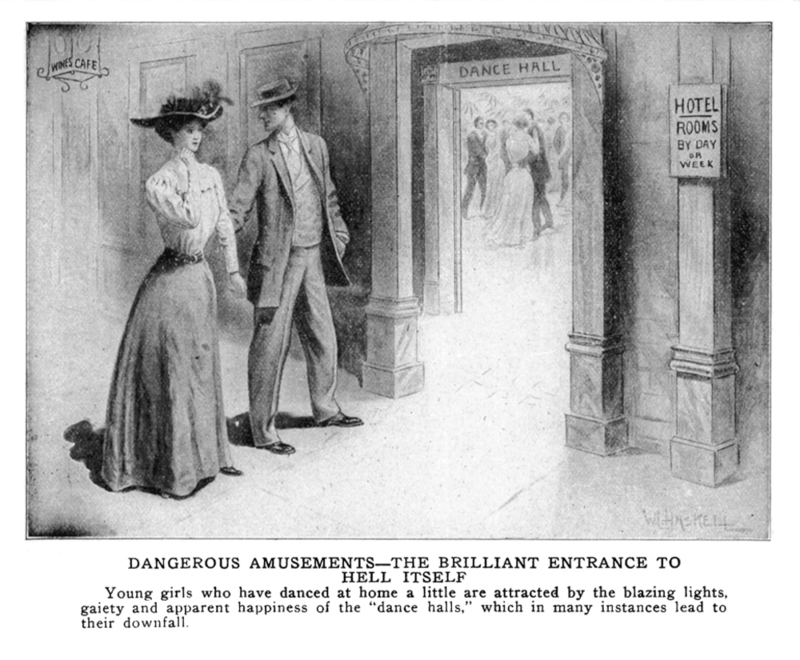 A poster from 1909 warns that predators lurk at public dance halls, hoping to lure young women into a life of "white slavery." 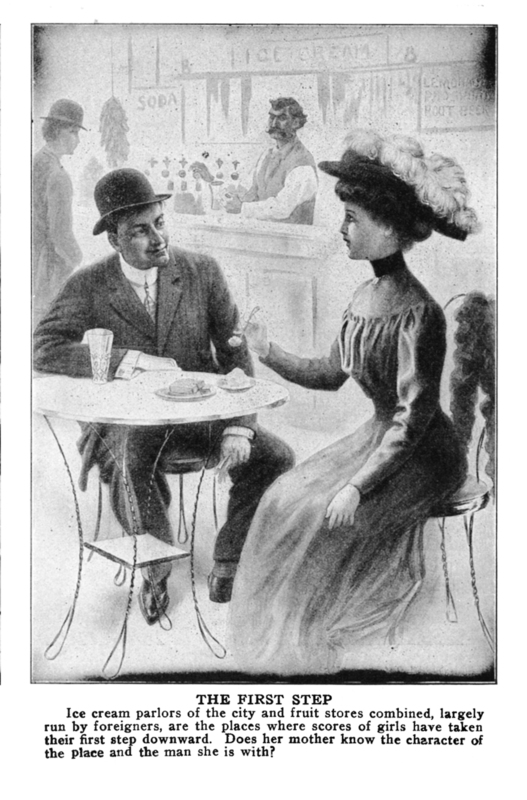 Not even the ice cream parlors were safe: A white slaver hoping to entrap his date and sell her to a brothel. 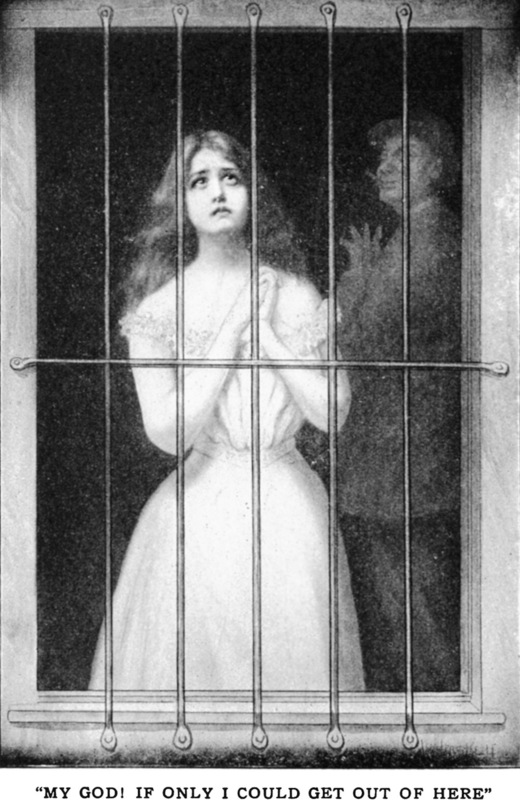 Once a girl was trapped in white slavery, the reformers claimed, she had little chance of escape.